Have you guys heard about Willow & Co? They are a new pattern collective, a group of 10 pattern designers, and they are releasing their first collection next week, on the 22nd. I had the opportunity to test four of the new patterns and will be sharing what I made with you this week. 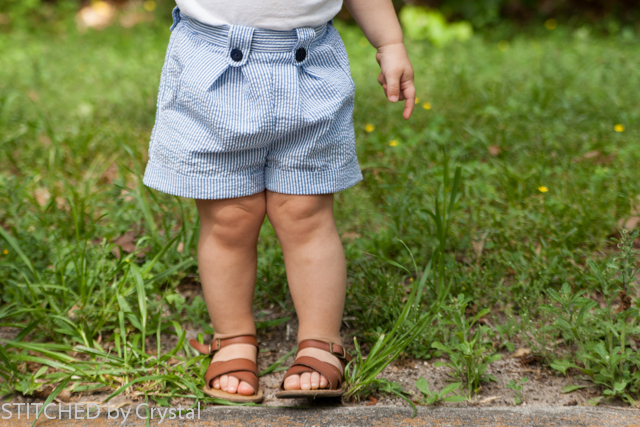 Today I am sharing these adorable shorts…. These are the Clover Shorts designed by Hayley over at Welcome to the Mouse House. 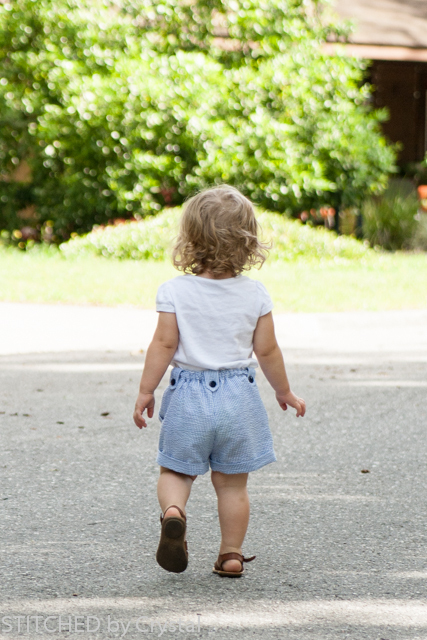 She is great, I have tested patterns for her in the past (like the Caroline and the Norah and some of her women's patterns I haven't gotten around to blogging yet) and always love them, this one is no different! 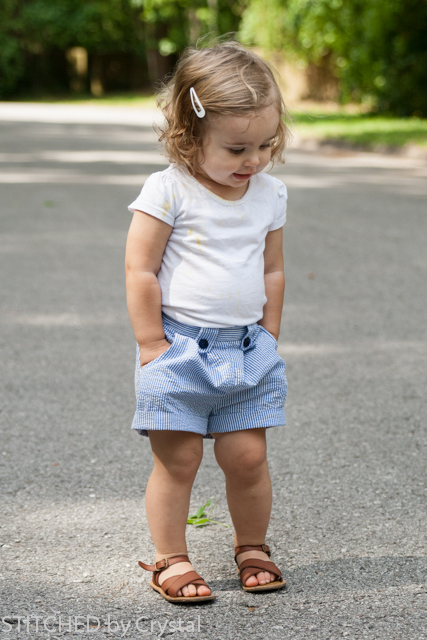 You guys know how much I like to sew with seersucker….and how much I love to sew kid’s shorts…so I think these seersucker kid’s shorts are pretty much amazing! 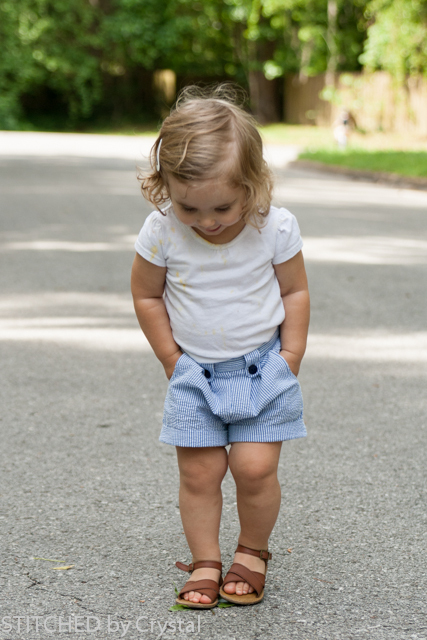 And Em likes them too, mostly because they have pockets. Once she found those pockets she did not take her hands out of them! I sewed these up in the size 18 months for Em. I love that they have a flat front, makes them look more grown up. They also have an optional sash which I skipped, it is hard enough to get this girl to stand still to get clothes on her you can forget about trying to tie anything! 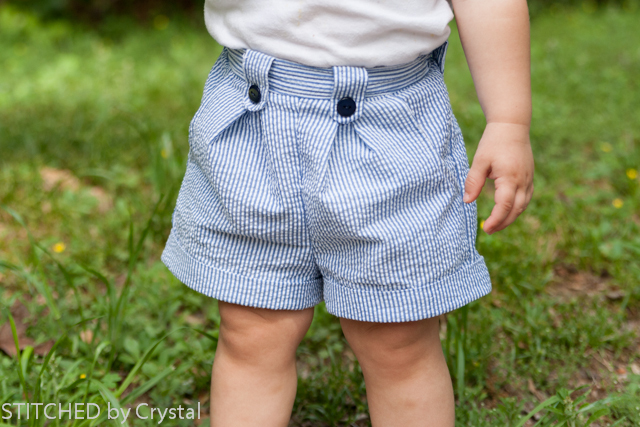 I really love the length of these shorts, the bottom cuffs get folded up, but if you like a longer short on your girl you can leave them unfolded, they would be about an inch longer. Thanks Hayley for such a great pattern! 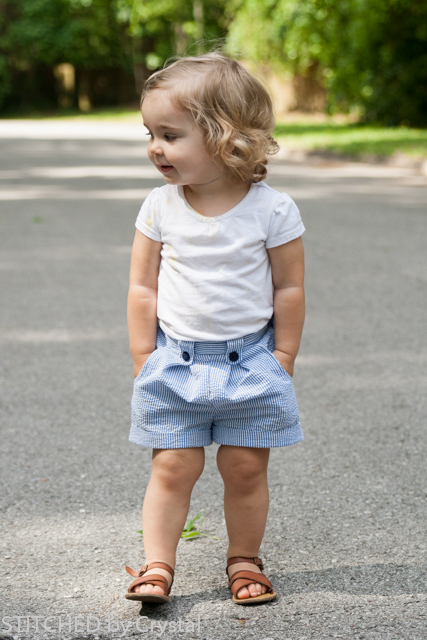 I know there are lots more Clover shorts in Em’s future wardrobe! 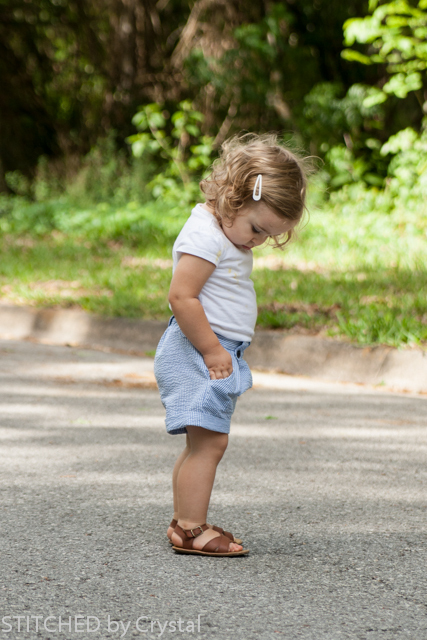 HOW insanely cute is this seersucker version and just perfect minimal styling with white t-shirt and brown saltwater sandals. Love love love! And how cute is your little girl!! Thank you so much for testing. 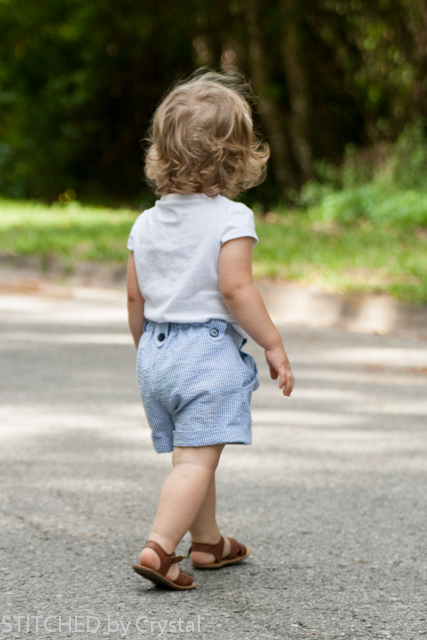 Oh mine, chubby toddler legs are the cutest! Love the seersucker version, screams summer to me! Great job! These are adorable!! Love them! !